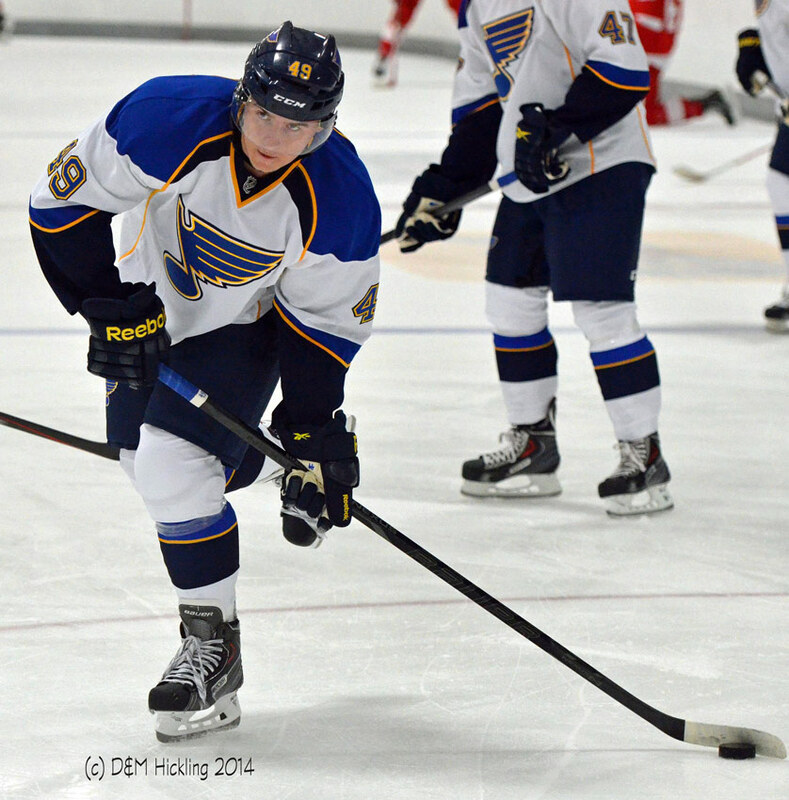 The St. Louis Blues released their 2015-16 preseason schedule earlier this week. Some fans feel it’s too soon to be thinking about the Blues on the ice again with the bitter pain of their early exit from the playoffs still a prominent sting. For me, the preseason schedule is a reminder that the show must go on. What remains to be seen is if it’s something new or only a rerun. The Blues will face three opponents in the upcoming preseason: The Columbus Blue Jackets, Dallas Stars, and the Chicago Blackhawks. This recently revealed preseason schedule is notable for featuring three “home-and-home” match-ups where the Blues will host each opponent once and visit their city once. 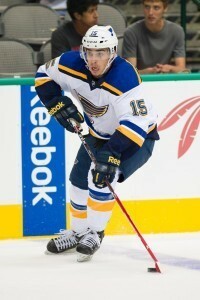 In a strange twist, St. Louis and Columbus will face off in split-squad action on the same day in both cities. The Jackets and Blues had an interesting division rivalry brewing up until NHL realignment sent Columbus to the Eastern Conference. Dividing everyone’s attention seems an odd way to evaluate talent to start off the preseason. 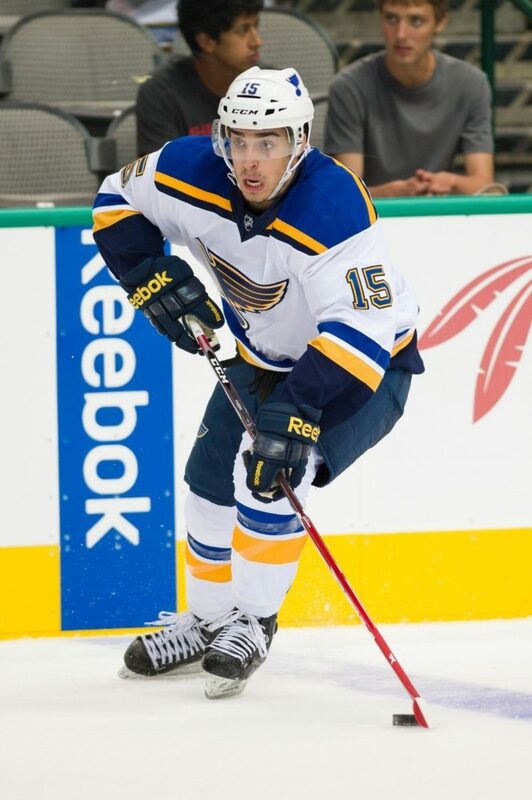 The Blues will feature the likes of Robby Fabbri, Ivan Barbashev and possibly Jordan Schmaltz in training camp come September and I suppose this is one way of ensuring everyone gets as much action as possible right away. The Blues will go on to alternately face the Stars and ‘Hawks twice each. St. Louis boasts a number of names familiar to Dallas fans within the organization: Ken Hitchcock, Doug Armstrong and Dave Taylor all came to the Blues after spending time winning in Texas. The Stars today are a team with a line full of marquee stars in Jamie Benn, Tyler Seguin and Jason Spezza, which may be important to filling Scottrade Center in 2015-16. The Blues won the 2014-15 season series from Dallas 4-3 with the visiting team winning every game and as the last four years of playoffs have proven, St. Louis doesn’t necessarily benefit from home ice. Fans may also get their first look at upcoming Stars such as Brendan Ranford, Greg Rallo and Cameron Gaunce. With this year’s Stanley Cup yet to be awarded, the Blackhawks could be the defending champs once again which will serve to enflame Blues fans’ ire, reminding us of another failed season. Surely none of the hundreds of ‘Hawks fans who travel with the team will hold that over our heads. Surely not. Regardless, the Chicago-St. Louis sports rivalry will continue to burn hotly. The Cardinals and Cubs may be battling for a pennant by the time NHL preseason begins. 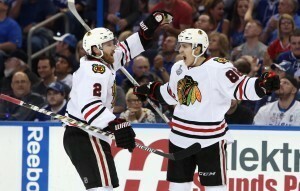 The Blues seemed to have Chicago’s number last (regular) season but obviously lack the killer spirit the Blackhawks reveal once the playoffs begin.